Home » What's New » Is 20/20 Vision “Perfect” Vision? If you have an eye exam and are told you have 20/20 vision, does this mean you have perfect eyesight? Is it possible to achieve even better than 20/20 vision? And what is “perfect vision” anyway? To answer these questions, let’s take a closer look at vision-related terminology to fully understand how eye doctors measure the quality of your vision. Visual Acuity, Eyesight and Vision: What’s the Difference? Visual acuity. This, literally, is the sharpness of your vision. Visual acuity is measured by your ability to identify letters or numbers on a standardized eye chart from a specific viewing distance. Visual acuity is tested one eye at a time, with the help of a standardized Snellen eye chart. Visual acuity is a static measurement, meaning you are sitting still during the testing and the letters or numbers you are viewing also are stationary. Visual acuity also is tested under high contrast conditions — typically, the letters or numbers on the eye chart are black, and the background of the chart is white. Only light that is focused on a very small and highly sensitive portion of the central retina (called the macula) influences visual acuity measurements obtained during an eye exam. Eyesight. The exact definition of “eyesight” is difficult to pin down. Depending on which dictionary or other resource you check, it can mean “ability to see,” “the sense of seeing,” “vision,” “range of sight” or “view.” Often, the terms “eyesight” and “visual acuity” are used interchangeably. Vision. This is a broader term than visual acuity or eyesight. In addition to sharpness of sight or simply a description of the ability to see, the term “vision” usually includes a wider range of visual abilities and skills. These include contrast sensitivity, the ability to track moving objects with smooth and accurate eye movements, color vision, depth perception, focusing speed and accuracy, and more. If this more inclusive (and accurate) definition of “vision” is used, what most people call “20/20 vision” should really be called “20/20 visual acuity.” Realistically, that probably won’t happen. For better or worse, the term “20/20 vision” is likely here to stay. The term “20/20” and similar fractions (such as 20/40, 20/60, etc.) are visual acuity measurements. They also are called Snellen fractions, named after Herman Snellen, the Dutch ophthalmologist who developed this measurement system in 1862. Your eye doctor or an assistant will use an instrument to show you choices of lenses to sharpen your eyesight. In the Snellen visual acuity system, the top number of the Snellen fraction is the viewing distance between the patient and the eye chart. In the United States, this distance typically is 20 feet; in other countries, it is 6 meters. At this testing distance, the size of the letters on one of the smaller lines near the bottom of the eye chart has been standardized to correspond to “normal” visual acuity — this is the “20/20” line. If you can identify the letters on this line but none smaller, you have normal (20/20) visual acuity. The increasingly larger letter sizes on the lines on the Snellen chart above the 20/20 line correspond to worse visual acuity measurements (20/40, 20/60, etc. ); the lines with smaller letters below the 20/20 line on the chart correspond to visual acuity measurements that are even better than 20/20 vision (e.g., 20/15, 20/12, 20/10). The single big “E” at the top of most Snellen eye charts corresponds to 20/200 visual acuity. If this is the smallest letter size you can discern with your best corrective lenses in front of your eyes, you are legally blind. On most Snellen charts, the smallest letters correspond to 20/10 visual acuity. If you have 20/10 visual acuity, your eyesight is twice as sharp as that of a person with normal (20/20) vision. Is It Possible to See Better Than 20/20? Yes, it’s indeed possible to have sharper than 20/20 vision. In fact, most people with young, healthy eyes are capable of identifying at least some of the letters on the 20/15 line or even smaller letters on the Snellen chart. This may be due in part to better printing methods available today vs. those in the 19th century when Snellen was determining the smallest letters a person with normal vision should be able to discern. So a case could be made that “normal” visual acuity today is an ability to identify letters that are a bit smaller than those on the 20/20 line of a traditional Snellen eye chart. Even if you see 20/20, you may feel your vision isn’t as sharp as you’d like. There are remedies for this. On the other hand, people are living longer today than they did in Snellen’s era. Normal aging changes in the eye, such as early cataracts, could justify considering somewhat larger letters than those on the 20/20 line as being indicative of “normal” vision among adults in their 60s or older. Regardless of these considerations, let’s say your eye doctor says you have 20/20 vision (or, more accurately, 20/20 visual acuity), and you want sharper eyesight. What can you do? 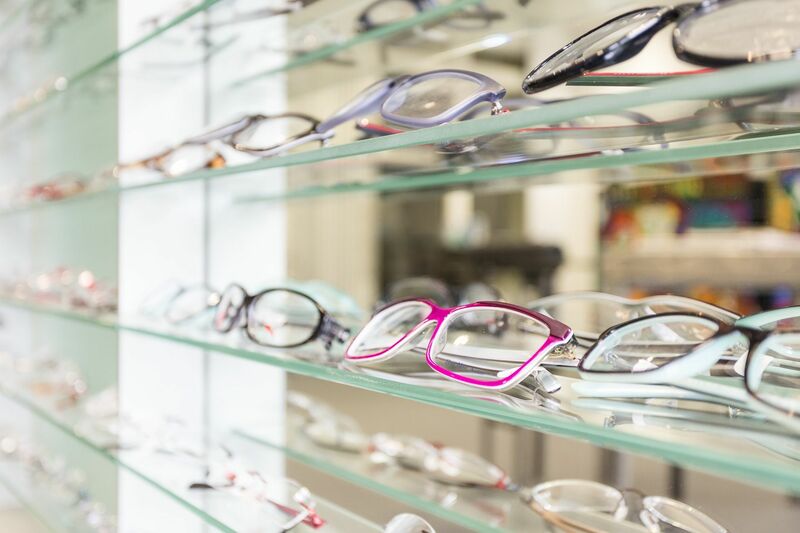 Glasses with special high definition lenses might give you sharper vision than regular eyeglass lenses. For example, if you are driving on a sunny day, excellent Snellen visual acuity might be the main factor in your satisfaction with your vision. But your girlfriend, who has worse visual acuity than yours, might be happier with her vision in the same circumstances because she is wearing polarized sunglasses with anti-reflective coating that enhance contrast and block glare. Or an athlete who has better than 20/20 vision might struggle with his performance because he doesn’t have certain dynamic visual skills that allow him to react to moving objects as quickly as a teammate whose static visual acuity isn’t as sharp as his. The first step to maximizing the clarity and comfort of your eyesight in all situations is to see a qualified optometrist for a comprehensive eye exam and vision evaluation. If you are interested in finding out if laser vision correction could sharpen your vision better than glasses or contacts, ask to be referred to an experienced LASIK surgeon for a consultation. Finally, if your child has 20/20 vision but is struggling with eye strain and other vision problems in school, seek the advice of our pediatric optometrist who specializes in children’s vision to have your child evaluated for possible learning-related vision problems.